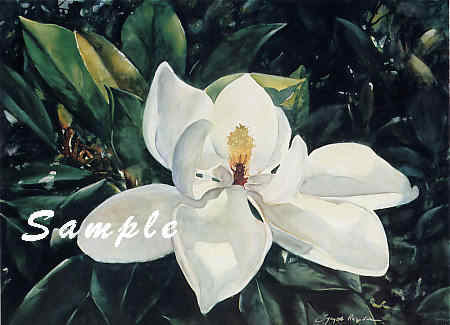 The magnolia is an evergreen and the flower is usually very fragrant. This magnificent flower was captured on paper in this watercolor painting for all to enjoy. As the saying goes...Magnolias are always in. Size : 20 1/2 x 26 1/2 inches.